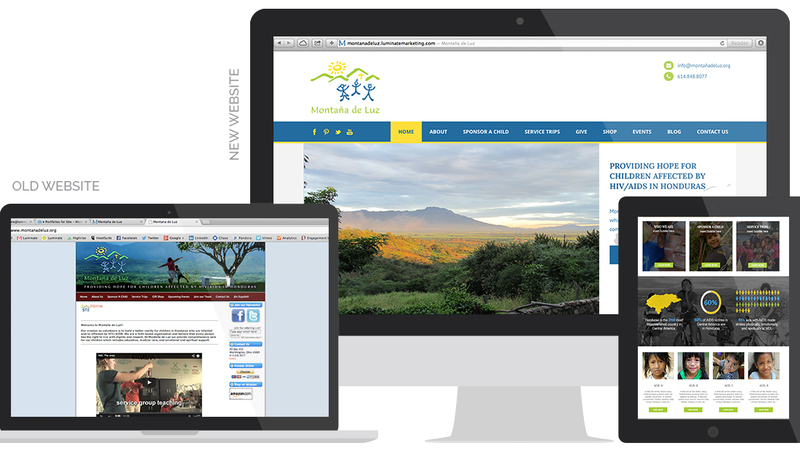 Montaña de Luz is a faith-based orphanage in Honduras, which creates a loving home for children diagnosed with HIV/AIDS, and provides them with comprehensive care. The MDL Leadership Team came to us in need of marketing strategy, donor strategy, and a new toolbox to leverage with existing and prospective donors. 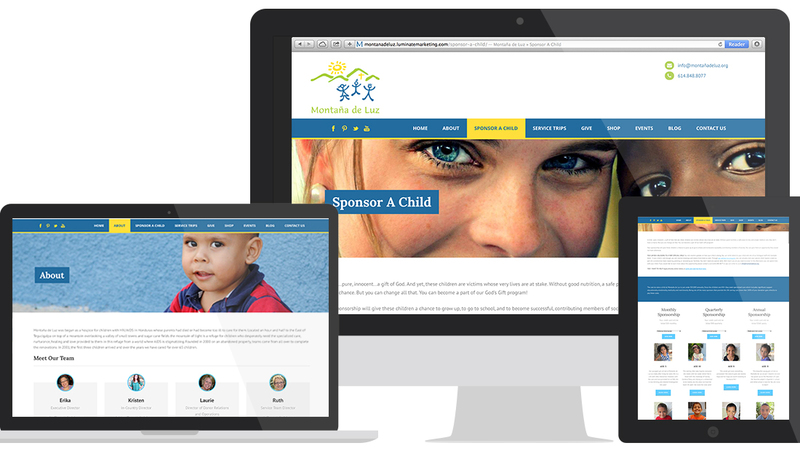 Child sponsorships were also low and the orphanage needed a better way to allow donors to sponsor children online. Our team began with research and a marketing plan. 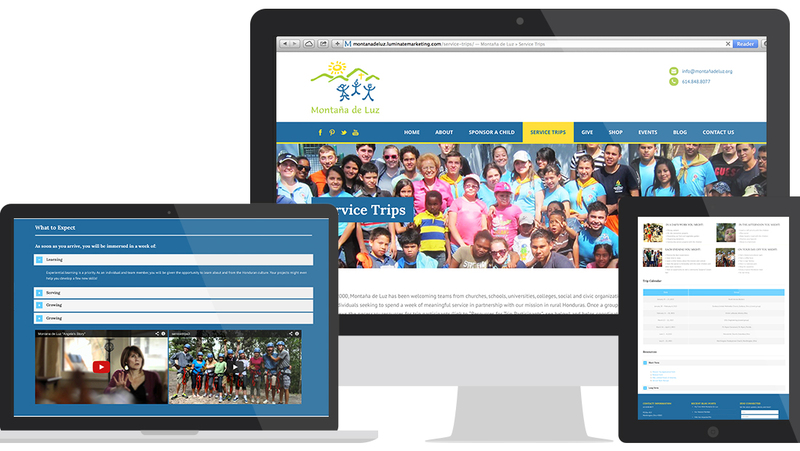 After it was presented to the Board of Directors with unanimous approval, we partnered closely with the Executive Director to understand all online needs: marketing to donors, child sponsors, college students for service trips, and potential fundraising event attendees. 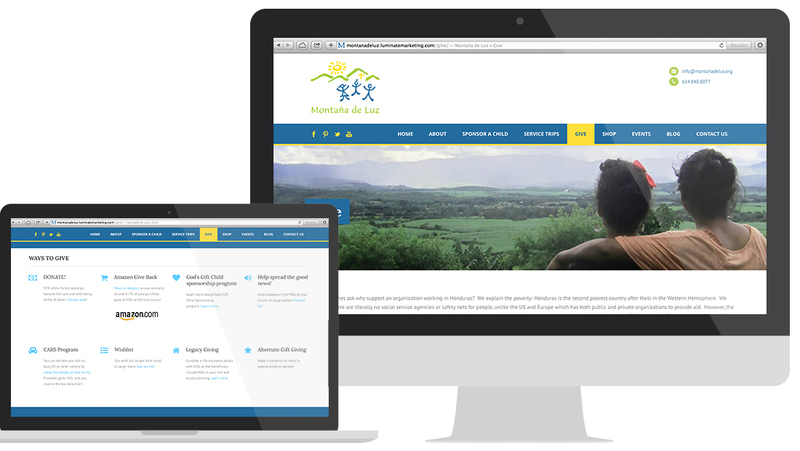 The final product was a beautiful website that not only met and exceeded goals, but also expectations of the Board and Senior Leadership.